Crystal habit: commonly as anhedral masses or as imbedded grains. Crystals are rare, usually with dodecahedral terminations. Sodalite is a member of the feldspathoid group. These minerals are chemically similar to the feldspars but have considerably less silica, forming from alkali-rich silica-poor melts. 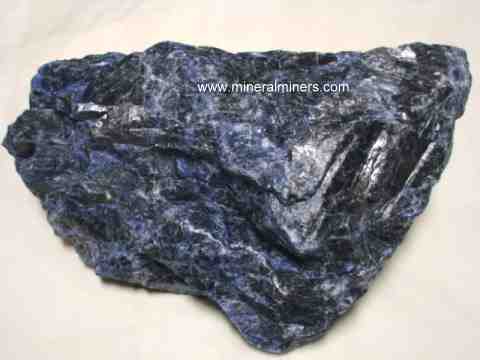 Sodalite occurs in a blue massive form which is a popular lapidary material. Sodalite also occurs as a minor constituent in the mineral aggregate lapis lazuli. Sodalite occurs mainly in undersaturated (silica-poor) igneous rocks such as nepheline syenites, phonolites, trachytes and related rock types in association with alkali feldspars (albite, orthoclase, sanidine), nepheline and cancrinite. Also found (rarely) in metasomatic carbonates with calcite and albite. Sodalite is usually distinguished by its blue color, which is typically a darker blue compared to the rich ultramarine hue of lapis lazuli, also lacking the pyrite which is commonly associated with lapis lazuli. Soluble in HCL with gelatinous silica residue. The name sodalite is in reference to its high sodium content. 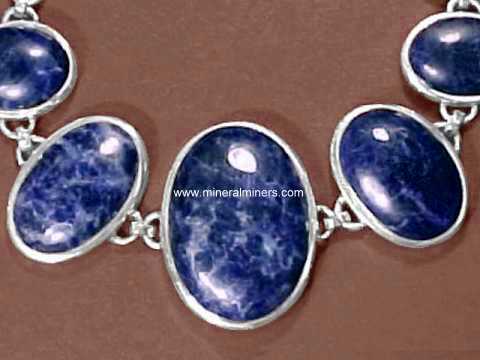 Sodalite is used as a lapidary material in the manufacture of carvings, spheres, beads, cabochons, etc... Sodalite faceted gems of fine color are very beautiful but generally lacking in transparency. 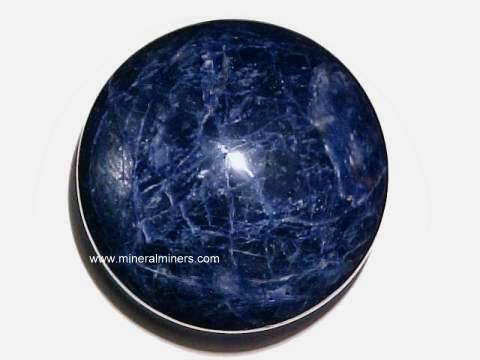 The astrological sign of sodalite is Sagittarius. Sodalite is said to inspire creativity. Sodalite is also said to give confidence and to to help in establishing a more balanced emotional state. The metaphysical use of sodalite is also said to improve self expression, to further one's communication skills, and to help eliminate confusion, bringing a sense of peace and spiritual growth. Sodalite is said to help prevent diabetes and to help strengthen the lymphatic system. It also is said to be usefall in the treatment of digestive system disorders. 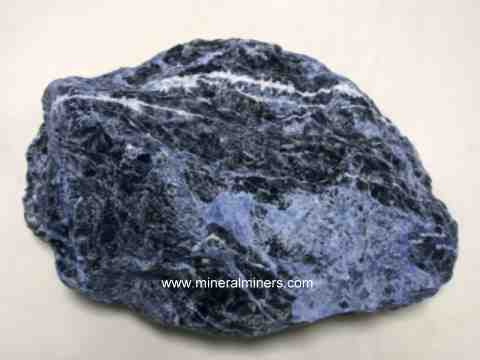 This is the end of our Sodalite Factsheet and Information page.